The removal, better yet – the make over, of Land of the Dragons has begun! As Busch Gardens Williamsburg added Sesame Street Forest of Fun to their park in 2009, Busch Gardens Tampa is giving Land of the Dragons a complete make over to become Sesame Street Safari of Fun! Construction is well under way for the opening of the childrens section of attractions in spring of 2010. Supports for buildings have started to go up. Soon things will start looking as bright, sunny, and colorful as Forest of Fun at Busch Gardens Williamsburg. 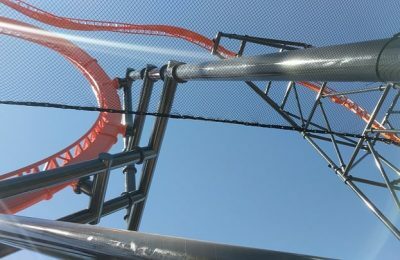 Air Grover’s track has been completed in the last couple weeks and they’ve put the train on the track! 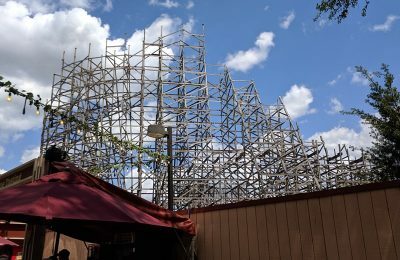 Everything looks like it’s right on schedule for it’s opening in just shy of three months. 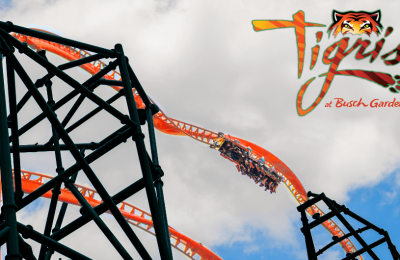 Sounds like Busch Gardens Tampa will be aiming to have Safari of Fun open before Spring Break. For more information on Sesame Street Safari of Fun, visit the official website of Busch Gardens. Previous PostReal Music Returns to BGT Next PostTrip Report:Universal Orlando NYE - With Pictures!